2.) Take Advantage of the Fall Weather- Now that things have cooled down a little, it would be the perfect time for outdoor exercises in the cooler temperature. Grab a friend and go walking on a park trail, run to your favorite coffee shop in the morning, cycling in the Autumn breeze will keep your heart rate up, or taking a hike on your favorite mountain. The options are unlimited! 3.) 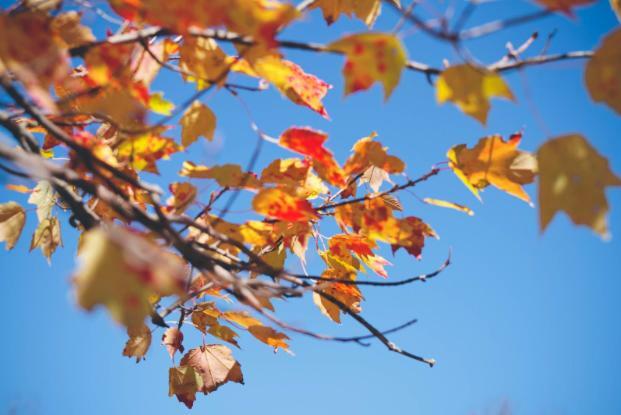 Restore & Renew- Fall is a great time too rejuvenate yourself from all the summer action. Take care of yourself in other ways other than working out this fall, incorporating wellness into your routine will keep you focused and hopefully stable during the transition of seasons. Try mediation, hit a yoga class with a friend, get a massage after a workout, or try an adult coloring book. 4.) Redefine your motivation- People are motivated by many things, but it’s sometimes easy to forget those motivating factors after sometime. This fall take time to get centered and figure out what will motivate you to stay focused for the rest of the year. Maybe try an accountability workout partner or trainer to help you stay focused and to assist you with achieving those goals you made back in January! 5.) Try New Recipes- Take this change in season as a time to really explore in the kitchen. With days ending sooner, take your down time to explore different ingredients and recipes your interested in and that fit the season. (Vegan Chilli would be a great one to try!) This will also be a perfect time to get back into meal prepping if you ate out a lot over the summer.